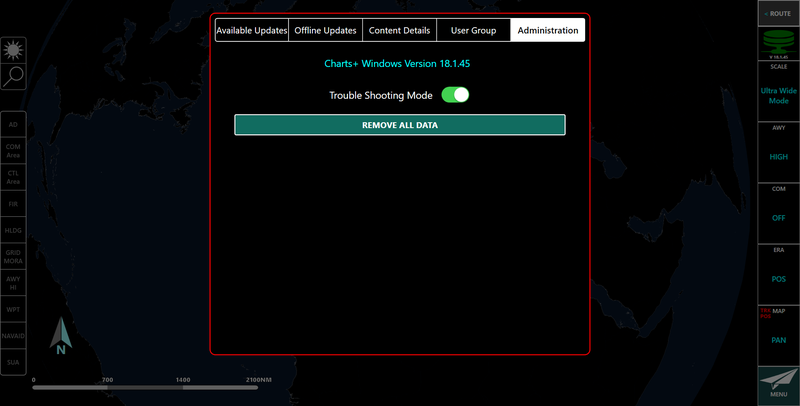 This topic will show you how to access the troubleshooting mode and erase all the data without uninstalling the application or changing registration. 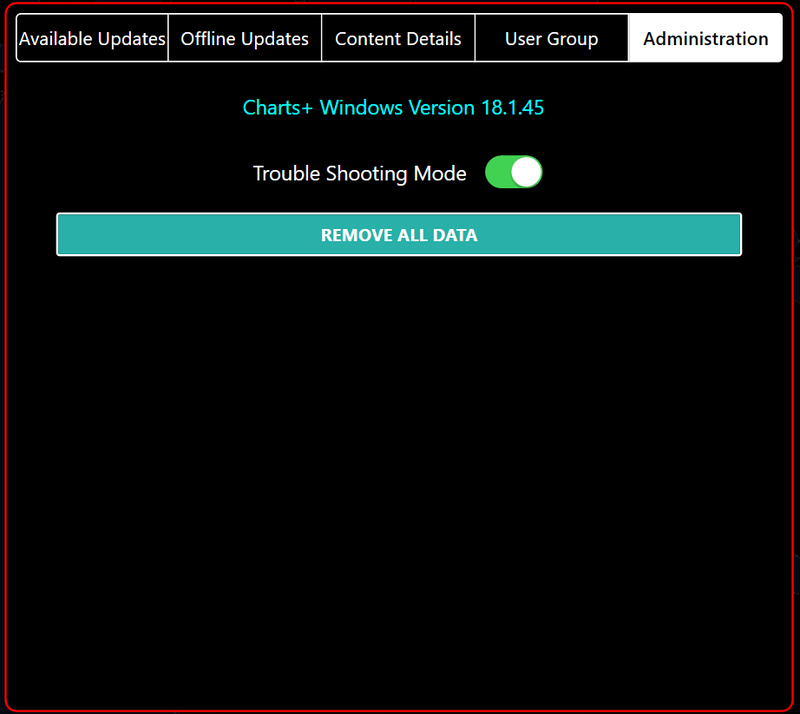 Accessing the administration tab will give you access to the troubleshooting mode. 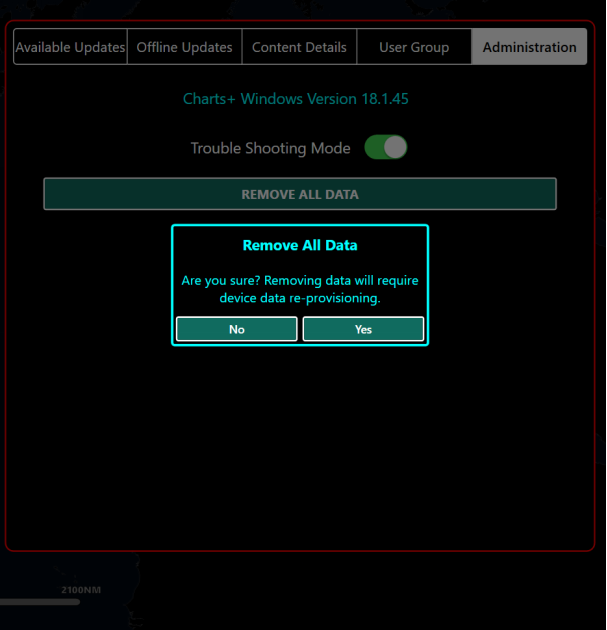 This mode will allow you to erase all chart data without uninstalling the application or changing the registration. 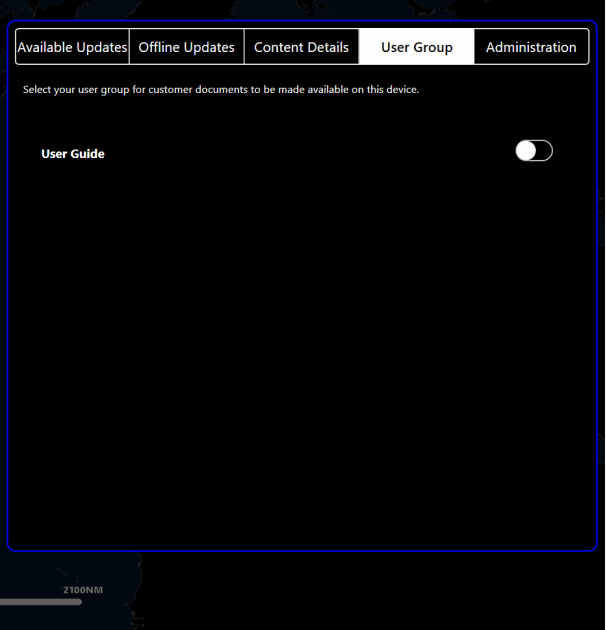 Trouble shooting mode is only available in NCDIS (Navblue customer digital information system) mode. 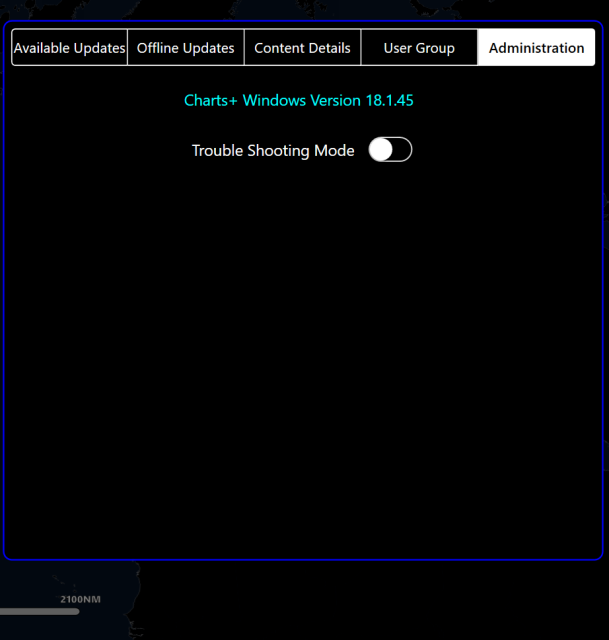 Let's now have a look at accessing the troubleshooting mode. 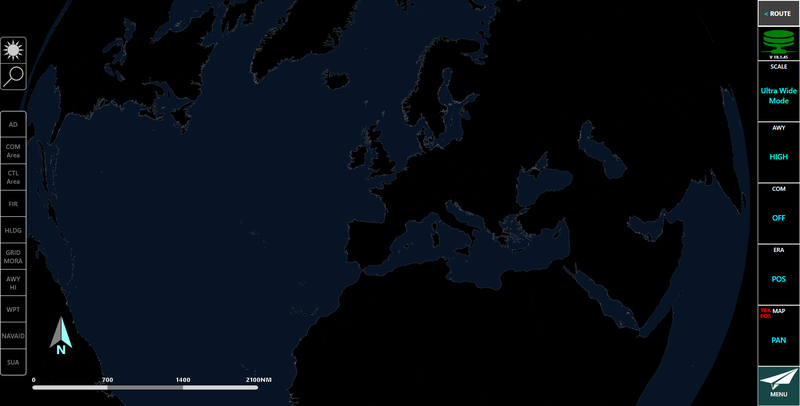 Start by clicking on the application status symbol. The option to remove all data is not visible until you have turned on the Trouble Shooting Mode. Click the Trouble Shooting Mode slider. Notice how the border has now changed color from blue to red. Click the Remove All Data button. Clicking outside the border will close the administration menu down. You will have to go back to the application status icon to open it again. Clicking on a new tab will turn the trouble shooting mode back to "off". Once you have selected the "Remove All Data" button, a confirmation option will appear. Clicking "Yes" will remove all data. Once all data is removed you will receive a notification that a new provision package is available after an application restart. Clicking "No" will keep all data.